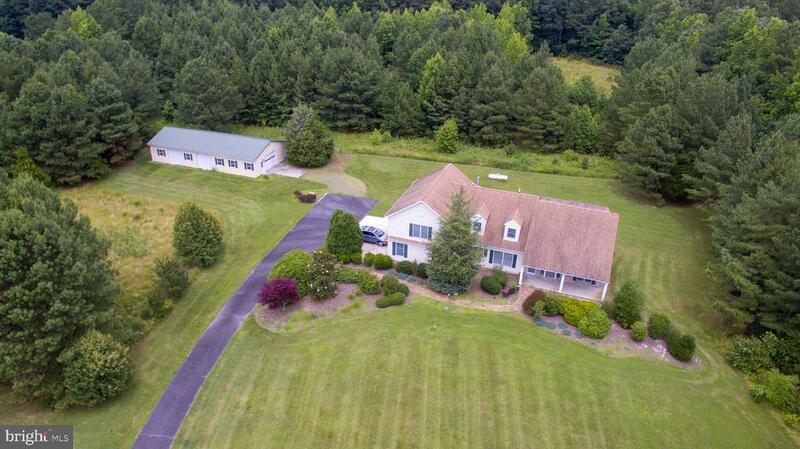 Location, Location with over 8 Acres. Approximately 3324 Square Foot Cape Cod with 4 bedrooms and 3 full baths. An attached two car garage. Large Outbuilding with water and electric and heated office. Full Basement. Seven zone gas basboard heat. Central Vacuum. Beautiful Forest consevation area that has wildlife and a pond. Paved Driveway. In law wing with seperate entranc.